Posted By PA Breast Cancer Coalition on July 15th, 2015 at 11:12 am | 0 comments. The Countdown to our 2015 PA Breast Cancer Coalition Conference is ON! Our staff is busy planning a day full of education and empowerment for all attendees. This year’s Conference will be held Monday, October 5 at the Hilton Harrisburg Hotel. We will kick it off in style with the PBCC Pink Party presented by Penn State Hershey Breast Center on Sunday, October 4, a free event celebrating our Grassroots Partners and survivors. The PBCC has gathered brilliant minds in the field of breast cancer for our workshops with topics including metastatic breast cancer, nutrition, lymphedema, breast density, triple-negative breast cancer, fertility, yoga, DCIS, survivorship and more. It will be a day of learning and networking with hundreds of other attendees interested in learning the latest in research, treatments and advocacy. 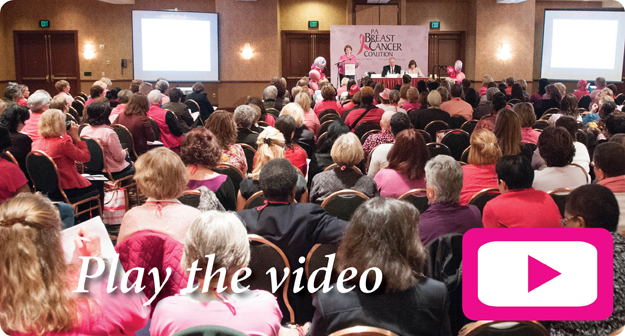 The PA Breast Cancer Coalition offers 3 FREE Continuing Education hours to nurses who attend. Scholarships and travel grants are also available through the Cary Massa Memorial Scholarship Fund.